One of my favorite go-to places to eat has to be Ethel’s Grill in Kalihi on Kalihi Street. I have been going there for almost 20 years because I know I can always expect two things- consistently good food and a meal for under $10. The combination can be hard to find in Honolulu! Ethel’s has a regular menu, but locals know that what you really want to order is whatever they have written on the old surfboard hanging above the antique cash register. A few things you must try are their signature dishes: Mochiko Chicken, Japanese-style Hamburger Steak and the Tataki Sashimi. These are probably the top three popular items in the restaurant, but another must-try (that is not always available either) is the Taco Rice. Don’t ask what it is, just order it and thank me later. 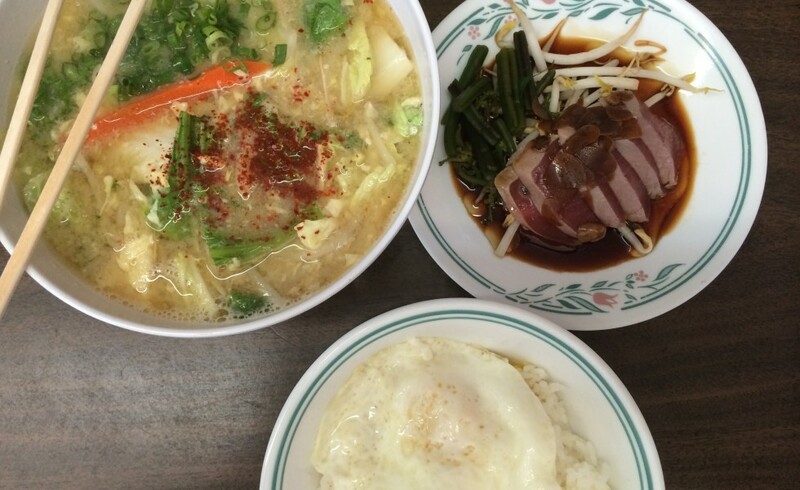 Finding the place can be a bit of a challenge if you’ve never been before, so drive slowly while making your way down Kalihi Street. Parking is limited, so the best time to visit is before lunch at 11am or after 1pm when it’s less crowded. The lunch rush can get this small restaurant pretty busy and there are only about seven tables for customers. Also, keep in mind that the order line forms to the right of the door.